Hailing from Lausanne, Switzerland, Bad Nelson music and dj talent is giving a brand new profile into the massive electronic Swiss dance scene. The swiss DJ have created a national reputation through an epic Party label, Party Bangers, and a massive touring schedule in switzerland. 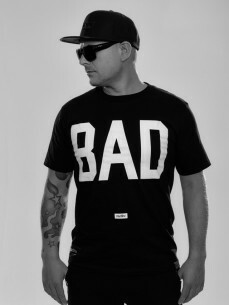 Bad Nelson kicked off 2016 scoring a national & International tour on the best Swiss et European clubs & festivals, playing along the best international artists like, Kura, Kryder, Tom Staar, Holl&Rush, Major Lazer, Steve Angello, Dj Snake, Dannic, Timmy Trumpet, MOTi, Jay Hardway, Steve Aoki and many more.